New Zealand Rugby boss Steve Tew is remaining tight-lipped after arriving in Los Angeles for dramatic talks which could re-shape the game. One British newspaper is claiming a privateer is waiting in the wings, ready to take over rugby. The proposals to be put forward at the meeting of Tier One nations are said to include a more even distribution of money, which would be welcomed by New Zealand and other southern hemisphere countries. There is also talk of a world league, a supremacy decider between the Six Nations and Rugby Championship winners, with a radical shift in European broadcasting arrangements away from free coverage in the mix. 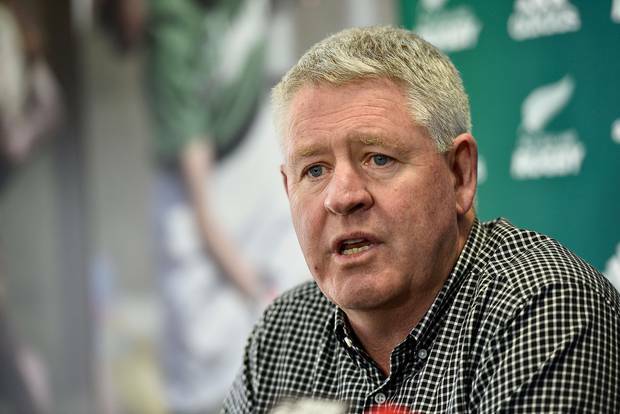 An NZR spokeswoman said Tew described the topics as "complex" and those attending the meeting would work hard in the best interest of fans and stakeholders. There has been little official comment from anywhere, adding to the intrigue. England's RFU simply confirmed that their acting chief executive Nigel Melville would be attending. The attendees will include Six Nations chief Benjamin Morel. World Rugby's executive committee is hosting the meetings, the result of a World League concept floated by vice-chairman Agustin Pichot last year. Meanwhile, on the eve of the talks The Australian's veteran sports columnist Wayne Smith has written that "Australia is particularly vulnerable to rugby's global finances with the power of England, France and Japan threatening to devastate the game domestically. "Already there are fears that the Wallabies could be decimated by players departing for overseas clubs following this year's World Cup," he wrote. "... the fact that Japan has organised not one but two Top League competitions next year — to make up for the disruption caused by hosting the World Cup — has only exacerbated the problem." Smith said the only way to keep the Australian Super Rugby franchises afloat, if a SANZAAR revamp reduced the number of home games, was via a World League. "While it remains to be seen whether the threat of a media takeover eventuates, what is clear is that the Los Angeles meeting looms as a watershed moment in world rugby," Smith said.